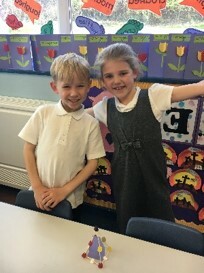 This afternoon, Miss Lewis set a challenge for 2BL to ‘build a house for a little pig that the big bad wolf wouldn’t be able to blow down!’. 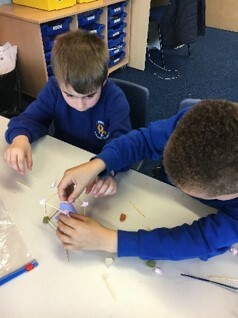 Each group had a materials pack which included; 25 toothpicks, 10 midget gem sweets and 10 mini marshmallows only! They began their planning process by discussing their initial questions, thoughts and ideas about the challenge ahead! 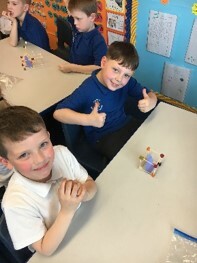 2BL began their challenge working in pairs connecting the sticks to the sweets without much clear direction or plan. It soon became apparent that the midget gems would serve as a strong base due to their weight and flat base for sturdiness. 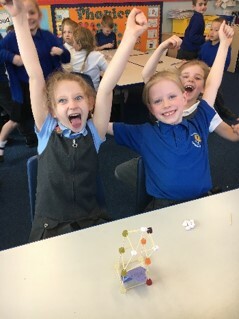 Some children became frustrated and disheartened when their house kept falling down but soon realised that the marshmallows on the taller layer would be more effective being lighter in weight. There were many different styles of houses which were constructed, all aiming to serve the same purpose!